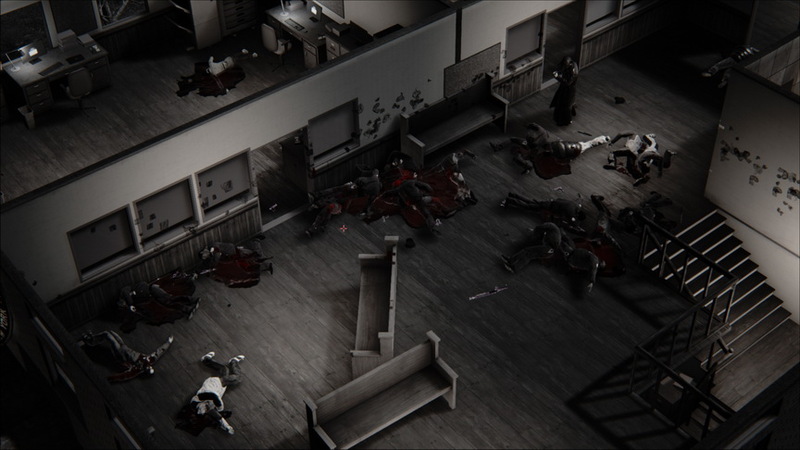 Perhaps this year’s most controversial game thus far, Hatred was recently released on Steam. We look back on the release and look forward towards the future with Przemysław Szczepaniak, a Business Development Manager for Hatred developer Destructive Creations. Hatred has drawn criticism for its provocative theme, but what inspired the actual gameplay? The main inspiration was Postal 1, as our founder ­Jarosław Zieliński is a great fan of this game. The gameplay basically is no different from many twin­stick shooters, where you use your keyboard for steering and a mouse for aiming and shooting. The unique features of Hatred consist of an almost fully destructible environment (walls, doors, windows, cars, furniture, gas tanks, etc. ), astonishing physics, and also the combat which is more tactical. You’ll need to hide behind obstacles, duck, evade, and use elements within the environment to fight off incoming enemies. ­The art style looks great,­ almost like an isometric version of Sin City. A conscious choice considering the subject matter? Yes, it was a conscious choice, we like the noir atmosphere of Sin City and in every way it fits the idea we had behind Hatred’s grim and dark style. Since the release, you guys have been hard at work fixing stability issues and bugs. What’s next for the team after the technical issues are fixed? Once we have a stable version of Hatred, we will prepare mod support, and after that we should start working on DLC in the form of a few additional maps. If possible we might also add a multiplayer mode to the game, but that feature needs to be thought over – we will need to see if it will be possible technically as well. ­If you were to make to make a sequel, what would you do differently or what would you add? Our thanks to Przemysław Szczepaniak for his time and insights!